This coming Monday and Tuesday, I’ll be at the RHS Chelsea Flower Show and I’m so looking forward to seeing all the installations, exhibits and gardens! 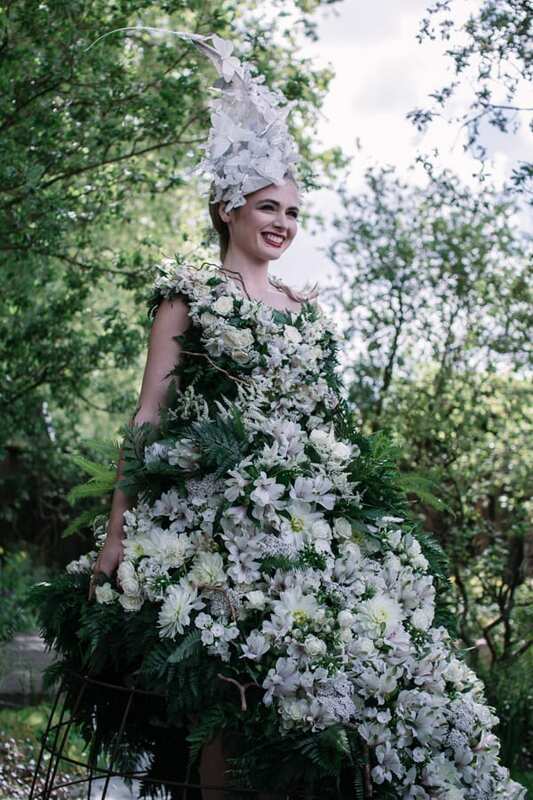 Here are details of just some of florists who are involved in this year’s RHS Chelsea Flower Show, Chelsea in Bloom and Chelsea Fringe. Grace & Thorn are decorating the Bull Ring Gate with masses of brightly coloured geranium plants from The Gardening Club. Lucy, The Flower Hunter, will be celebrating the English landscape with an installation featuring planting design and floristry. La Famille are creating the tunnel installation connecting Main Avenue and Ranelagh Gardens. A flower frame/arch is being created by The Flower Appreciation Society for the late night event on Friday. 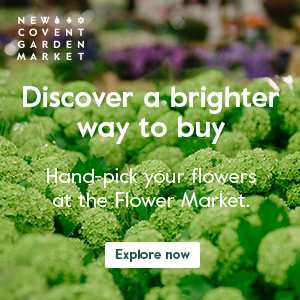 Flowers from the Farm, a not-for-profit co-operative of British flower growers will be exhibiting for the first time at the show. Full details can be found in this article. Floral Fundamentals’ UNITY exhibit will showcase the creative skills of Europe’s greatest floral designers in their representation of the stages of bulb production, from growth through to display. A floral feast will be served up by the National Association of Flower Arrangement Societies (NAFAS) with an imaginative flower and foliage display depicting the four seasons. Marks & Spencer‘s exhibit will reflect a British Flower Festival and if inspired by the physical structures and sense of place of traditional flower and produce markets. Simon Lycett and Jo Good from BBC Radio London will be having their annual walk around the showground on Tuesday 22nd May. This year’s theme is ‘Summer of Love’, inspired by the Royal Wedding and the 60s/70s cultural revolution. All for Love are creating the main Chelsea in Bloom installations in Sloane Square, Pavilion Road and Sloane Street. Plus they’ll be creating an installation for Dermalogica. Wildabout are creating the Chelsea in Bloom installations for Kiehls, Hackett, Oliver Peoples and Boutique 1. The Flower Appreciation Society are conducting a demo and talk for Monica Vinader. ‘Geraniums at the Door’ celebrates the iconic entrance of the Zetter Townhouse in Clerkenwell. Co-designed by award winning garden designers, Claudia de Yong and Indoor Garden Design, the installation will feature over 200 geraniums in deepest burgundy to palest pink. Added to this are traditional horticultural elements of ivy and box, interwoven with aged, vintage wood and some playful animal sculptures for an eccentric twist. 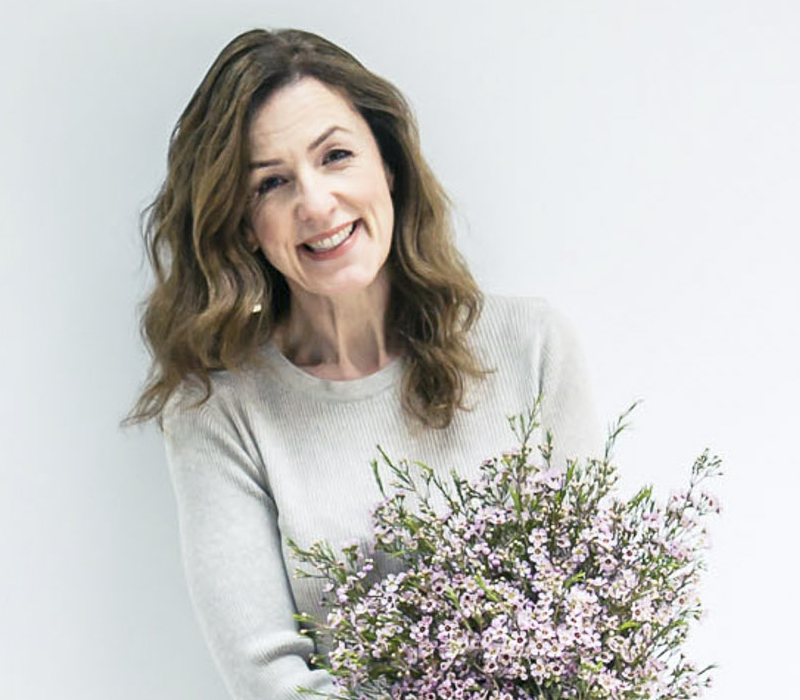 The British Academy of Floral Art will be creating the first ever Exeter Floral Trail. It will run from May 22nd-24th and feature 18 floral designs, created by the Academy’s tutors and students, in retail and historic venues across the city centre. A supporting Exeter Trail map will highlight the locations, which include Exeter Cathedral, White Stuff, John Lewis, Cath Kidston, Waterstones, Lloyds Kitchen, Build-a-Bear, St Nicholas Priory and Exeter University. Five independent florist shops are also joining the Exeter Floral Trail celebrations: Trugs Florist, St Leonard’s Flower Shop, Jane’s Florist, Dunstan’s Florist and Blooms Florist. I’ll be sharing photos and videos from the show this week on Flowerona, Instagram, Facebook, Twitter and Google+. P.S. The amazing floral dress featured in this blog post was created by Larry Walsh for the M&G show garden in 2016.